The cording is inserted into the inside of the frame - the lining side. I had recently made a beautiful purse from unused metal picture frames. It was really beautiful. I had no previous experience of this, but I used an online tutorial for the purpose. 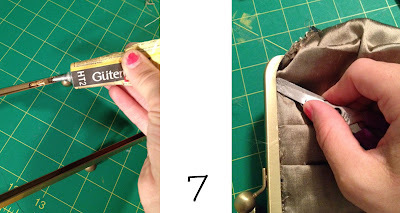 I have a good collection of photo frames at my home and I wanted to make a good use of my old frames so I thought of making a purse and this is really a nice idea. Thanks for the great idea! A Cheap Wallets For Women was given to me for Christmas this past year and it has gotten some heavy use. Thus an idea began to blossom.